Situated in the Gulf of Thailand, Angthong National Marine Park is an archipelago of forty two islands. 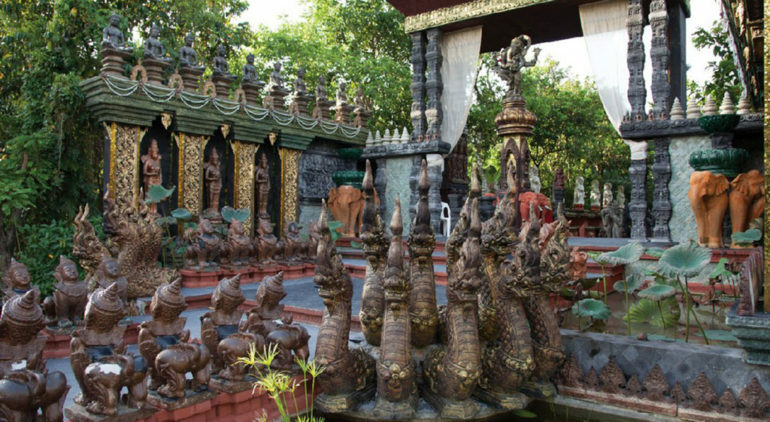 Popular among tourists and locals, the attraction draws hordes of visitors keen on exploring its picturesque beauty. Soaring limestone mountains, dense jungle forestry, pristine white sand beaches, tumbling waterfalls and mysterious coves characterise the myriad of islands. It is also home to a rich diversity of wildlife and marine creatures. Visitors of the national park are spoilt for choice, for it offers much to see and do. 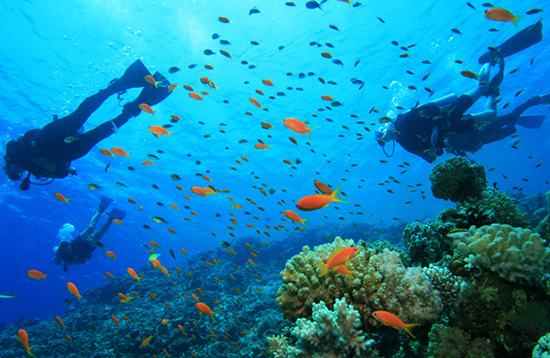 Vacation makers with a love for underwater expeditions will enjoy embarking on scuba diving and snorkeling trips. Those who prefer staying dry on land may cruise atop the waters on a kayak, or lounge languorously on the sandy shores. Travellers with an appetite for adventure will enjoy getting a thrill of adrenaline rush from venturing on a challenging hiking trip. The stunning underwater world of Ang Thong Marine Park is a delight to explore, for it boasts a plethora of exotic and colourful marine life. Koh Wao is a popular snorkeling site for travellers. Sitting in the northern areas of the Marine Park, it consists of three islands with a shallow and sheltered bay situated in between. 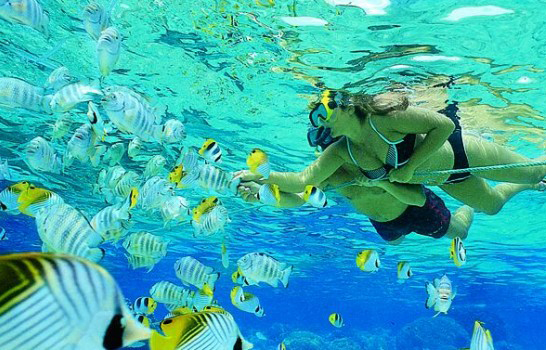 A forty-five minute snorkeling adventure will offer plenty of opportunities for snorkelers to catch sight of the exotic underwater marine creatures. Divers who venture to Koh Wao will explore an alluring bay fringed with splendid corals. Be prepared for an adventure, for divers will have to maneuver through a series of overhangs, swim throughs and crevices during the underwater expedition. 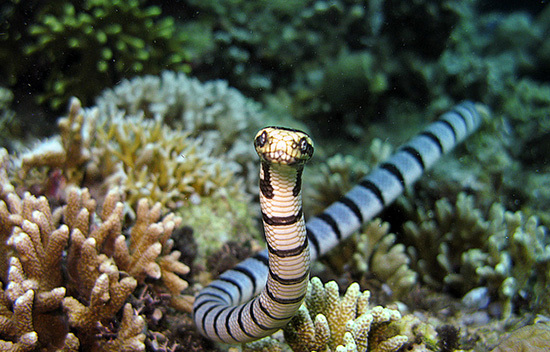 Be sure to keep your eyes peeled for sightings of harlequin sweetlips, blue spotted sting rays and banded sea snakes. Translating to mean “Small Japanese Island”, Koh Yippon Lek presents divers with shallow caves, swim throughs and a plethora of underwater marine life such as banded seas snakes, squid, cuttlefish and barrel sponges. Explore the alleyways at Hin Yippon, for these are favourite hiding spaces for red snappers and groupers. Divers will also set sight on an array barrel sponges, corals and sea fans during their scuba diving trip. The more experienced may venture on to the deeper end of the waters measuring twenty fives metres in depth, while beginners can stick safely to the shallow regions. 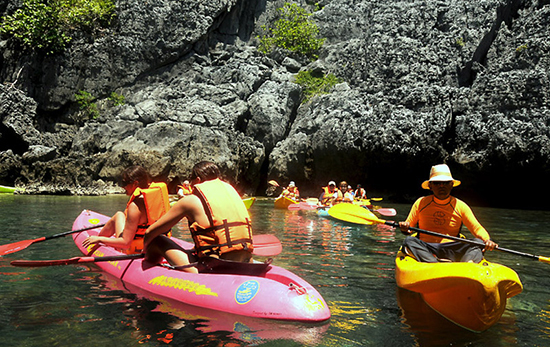 A kayak tour usually starts off from the southern end of Ko Mae Ko island. Visitors are also brought onshore for a tour of the scenic and serene Green Lagoon, commonly known as Emerald Lake. 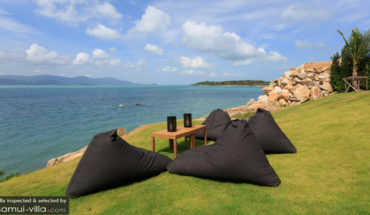 Certain tour operators may proceed on to Wua Ta Lap Island, or the sea gypsy village of Koh Paluay for a lunch break. After being satiated with a hearty meal, travellers set off for a kayaking trip to explore the gorgeous coastlines, plunging cliffs and peculiar rock formations of the surrounding islands. 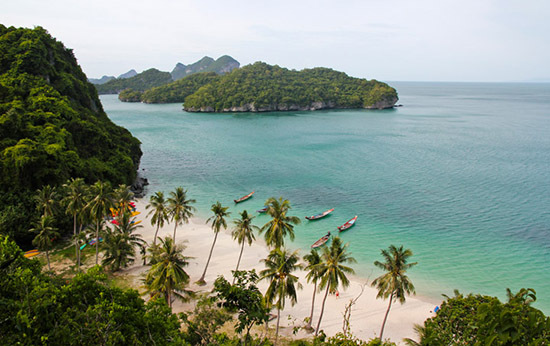 Angthong National Marine Park offers some of the best hikes in Thailand. 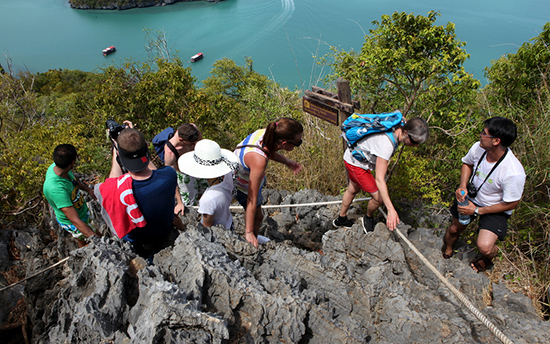 Start your adventures from Koh Wua Talab Island, and make your way along a path that will take you to a vantage point situated five hundred metres above sea level. This hike is not one suited for the faint-hearted, for it consists of steep terrains, sharp limestone crags and dubious ropes to help hikers surmount rocky areas. However, being rewarded with mesmerising views at the mountain peak makes the challenging hike a worthwhile effort. 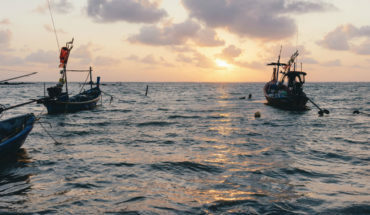 Leisurely sun seekers who are not in the mood for physical activities may head over to one of the many idyllic beaches at Angthong National Marine Park. Arm yourself with a pair of shades, a refreshing cocktail and a selection of beach reads, and you are well-prepared for a lazy afternoon upon the sandy coasts. The months of February, March and April are the best months to make a visit to Angthong National Marine Park. Avoid visiting during November and December, for the park remains closed on most days due to the rough weather of the monsoon season.